While shifting some rocky soil to renovate a frog pond, we exposed what looked like a very large shiny worm. 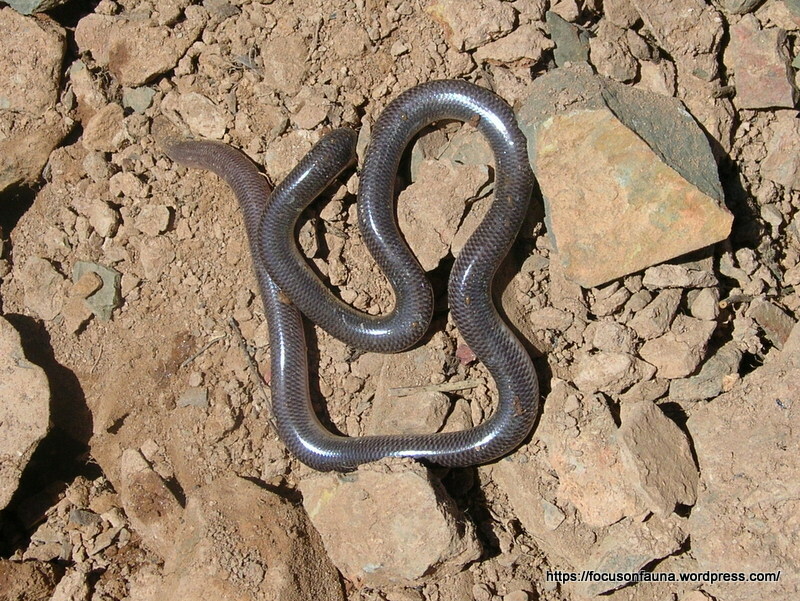 It was in fact a blind snake, Ramphotyphlops sp. Blind snakes are non-venomous and rarely encountered as they spend most of their time burrowing in search of ants and termites. Not needing to see far, their eyes are greatly reduced and appear as dark spots covered with a transparent scale. When trying to identify this particular snake we were surprised to find 42 species listed in our field guide for Australia, although only 4 have been reliably recorded in Victoria. 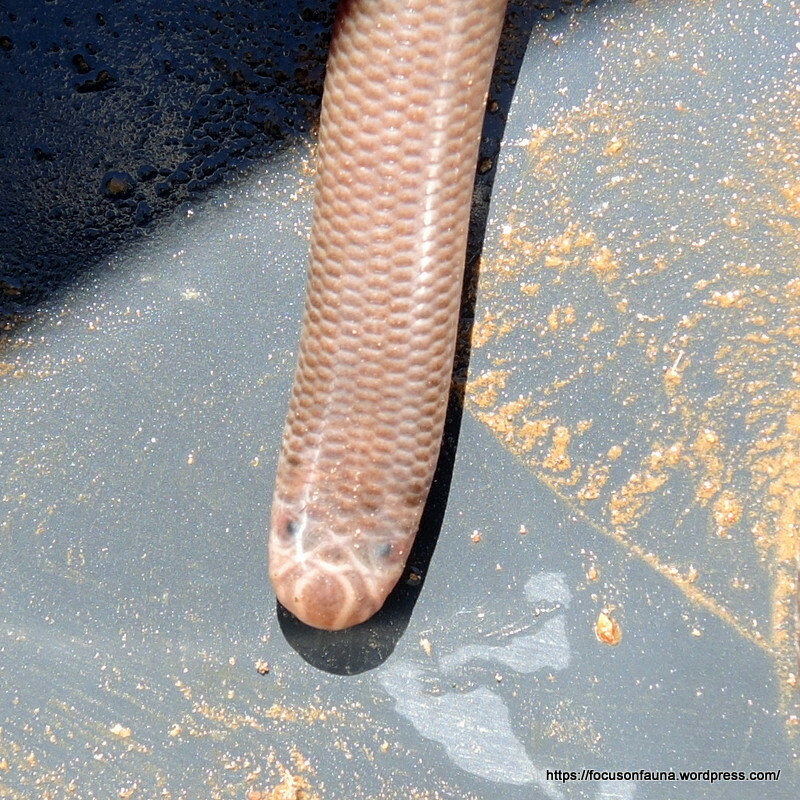 From the descriptions and distribution maps, we think this is a Blackish (or Gray’s) Blind Snake (Ramphotyphlops nigrescens), probably a juvenile judging by its pinkish-brown colour, compared with the dark adult. A positive identification would require counting the number of rows of mid-body scales and close examination of the head scales. 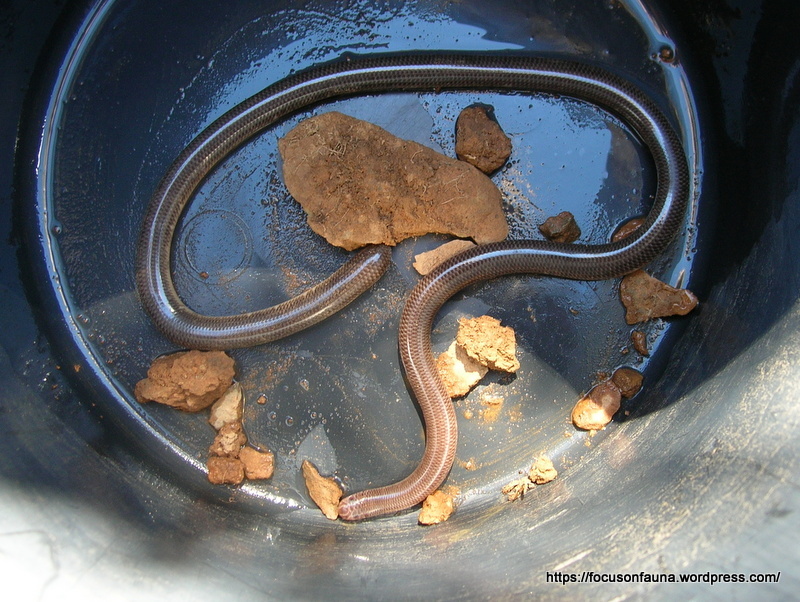 However, not being experienced in handling snakes, and not wishing to stress the animal, we quickly returned it to the soil pile where it rapidly disappeared into a near-invisible crevice, to devour more termites we hope. what a great find! surely you could use a magnifying glass to count the scales! Ha ha only kidding. Our find when moving an apple tree was a juvenile blue tongue!